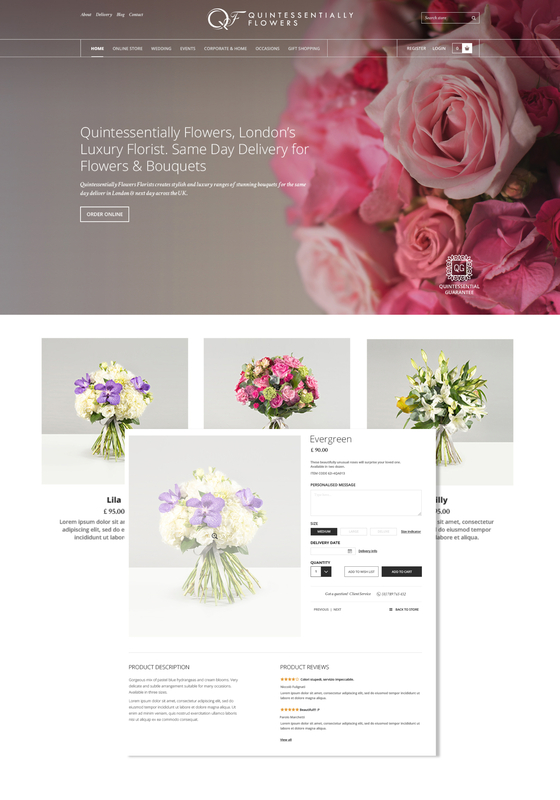 Design a beautiful flower eCommerce website that would convey the quality and luxuriousness of the bouquets. 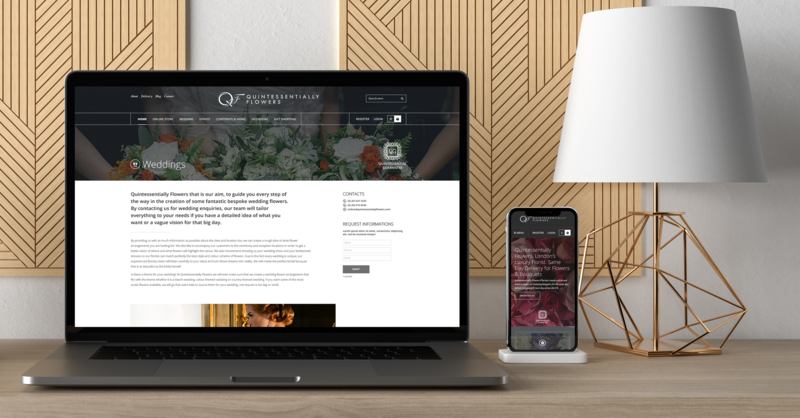 Find and customise an eCommerce platform that would facilitate the sale, ordering and delivery process, as the bouquets needed to be delivered the same day. Design and develop a customized checkout user-experience for optimum conversion rates. We chose to use a hosted eCommerce solution, in this case, BigCommerce. With a hosted eCommerce platform, the client would not have to worry about updating software and security issues related to the server or software. BigCommerce has an intuitive administration backend to upload new products, take orders and manage stock; ideal for a client that does not have a dedicated online store manager. We have also found BigCommerce to be good on SEO and easy to integrate with Payment Gateways such as Stripe and PayPal. There is a tricky balance between design and usability when it comes luxury, high-end product eCommerce websites albeit flowers or watches. Beautiful design is great for brand awareness but usually pretty bad on SEO and more importantly, getting users to checkout. We were acutely aware of this issue, so we prepared several designs and then conducted UX testing on each to see which one the users were most likely to complete the checkout process on. The final result was fewer ‘abandoned baskets’ and a higher than average number of repeat customers.